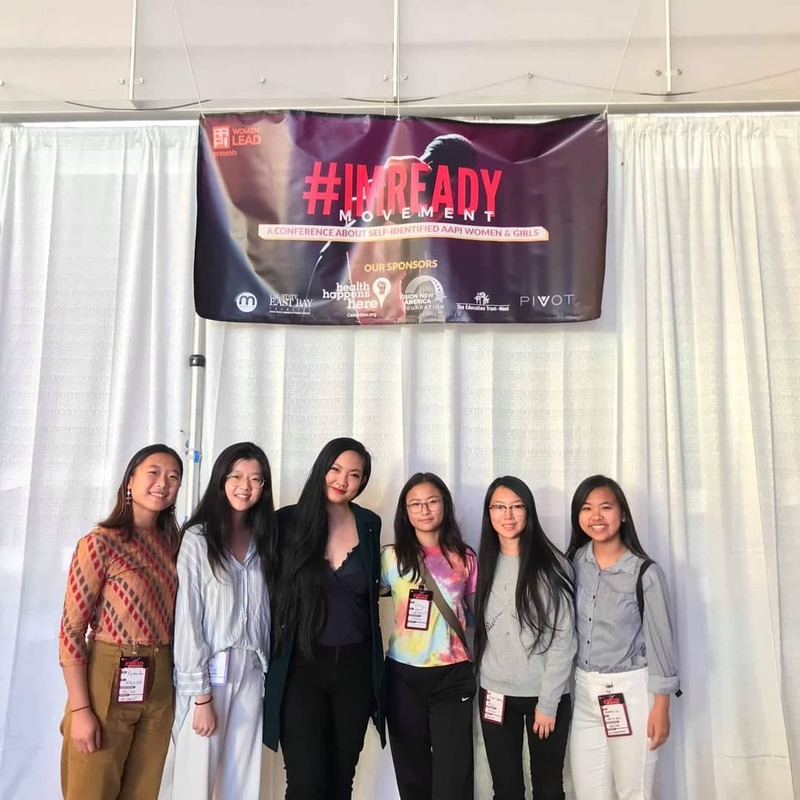 On November 3rd, the Youth Advisory Council had the honor of attending The AAPI Women Lead Conference 2018, a meaningful gathering for Asian American and Pacific Islander (AAPI) self-identified women to raise awareness and learn about women empowerment. 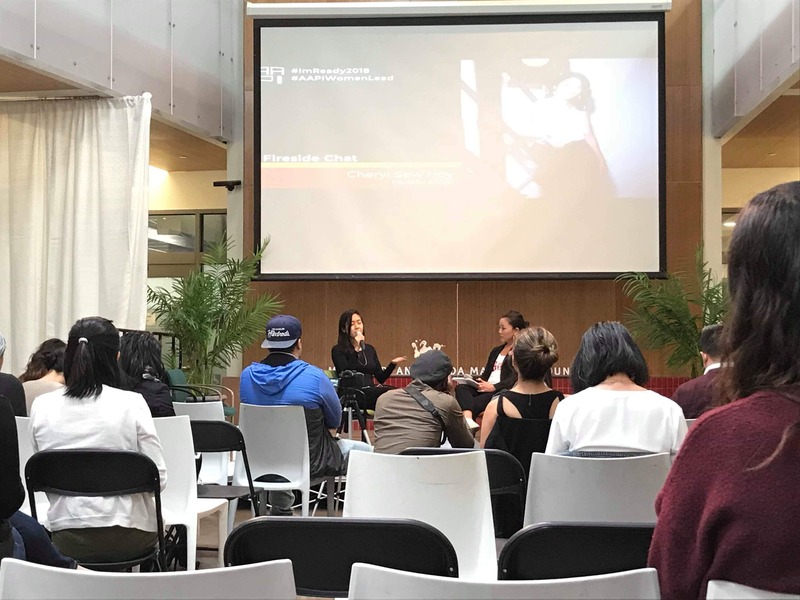 Through panels and discussions, the conference covered issues such as racial/ethnic discrimination and sexism that impact people, especially women, daily. This conference was a powerful start for future #ImReady conferences. 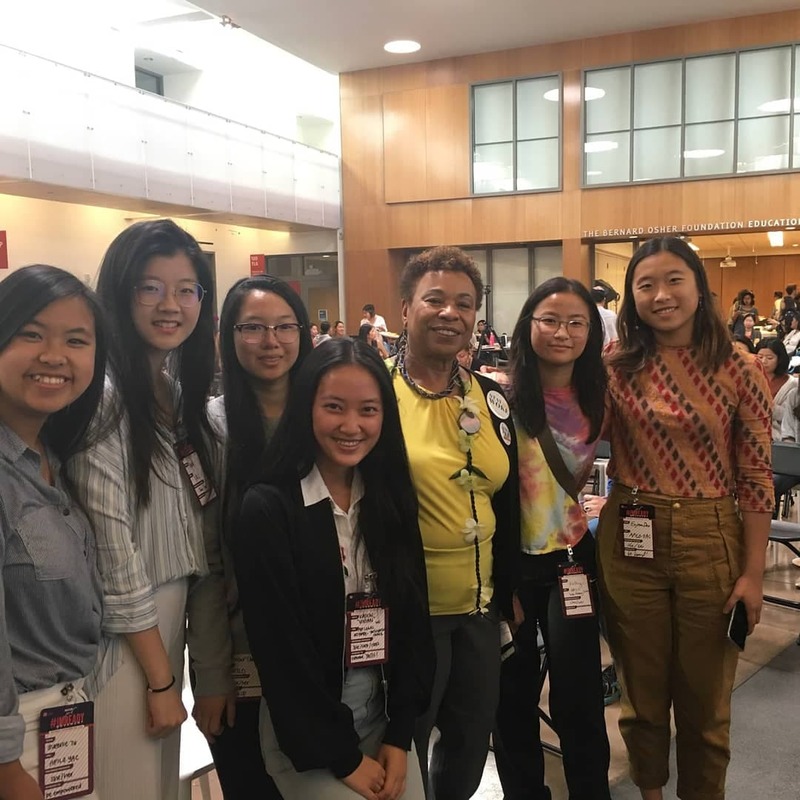 YAC members were fortunate enough to receive scholarships for the conference as the coordinators were eager to invite and involve young AAPI women. Within ten hours, YAC members felt the importance of storytelling, empowerment, healing, anger, empathy, and sisterhood from intelligent, talented, and inspirational women. These women range from artists to CEO’s to congresswomen; their power is limitless. Although they have different careers and experiences, they are all leaders who want to empower colored women who are suppressed by society. Simply being in a room surrounded by these individuals gave YAC members more energy, hope, and motivation than ever. The conference left an influential impact on us; the panelists and guest speakers all eloquently discussed about various issues that affect the AAPI community. A moment that really resonated to us YAC members was when the first panel of the day challenged the definition of being a leader. They all mentioned that being a leader to them meant being accountable and correctly utilizing their power to better the future of others. Their words made us all rethink what our own definition of a leader is. The personal stories several speakers shared with us were heartbreaking, but we also felt empowered after hearing them. It prompted us to ponder about the work YAC does, and how we’re stepping towards a brighter and more peaceful future as we work on preventative measures against domestic violence. It made us really grateful that we are privileged to have this platform to help spread the message of healthy love, and to help keep young folks away from the experiences these strong women have endured. As mentioned earlier, many personal touching stories were shared within the safe space. YAC members listened to anecdotes about Amanda Nguyen from the icon herself. She had been sexually assaulted in college, however, she faced various hardships in gaining justice. Determine to gain justice, she decided to amend the law system. After months of fights, she is finally able to pass a new law that made it easier for sexual assault survivors to gain justice and fight against their perpetrators. YAC members were amazed by her bravery and her leadership. She stood up against the oppressive system and used her leadership skill to benefit millions of sexual assault survivors in America. Amanda empowers YAC members to stay persistent in fighting against the oppression that suppress minority groups and not be defeated by the challenges they faced. The conference also consisted a panel of sociologists who discussed the context of API history in the United States of America. Their discussions addressed the model minority myth, the erasure of Pacific Islanders and Hawaiian peoples in American imperialism and in their present-day representations, and the intersections of different identities (sexuality, gender, class, etc) with Asian-American Pacific Islander identities. YAC members were mostly interested in their professions and the “racial literacy” of all these amazing women. Never before had we seen such knowledgeable people. Since practically birth, as girls of color, people have always pushed us to go into the STEM fields, saying We need more women in science! We need more people of color in technology! However, this conference has opened our eyes to how we can apply social justice issues in any career by seeing the diversity of careers that these women were employed with: from non-profit workers to astronauts, professors to lawyers, doctors to poets. Anywhere and everywhere we go, whether we chose to go into STEM fields or not, we can make an impact and have a voice, just like these amazing women. The women in the conference had always had to deal with their abilities being undermined as women of color, being harassed verbally, sexually, and emotionally as API women are often objectified and fetishized, and not able to be heard, especially in work settings. The intersection of their identities often put them in disadvantaged positions, yet they were able to be heard, make an impact, and excel in their careers. This conference has inspired many of those who attended, including us. Throughout the panels, we all kept relating what the powerful women were saying to our own teen dating violence presentations and peer education. We were hearing the terms “power and control” amongst the panels and advice on how to support and uplift survivors of violence. There was a lot of overlapping in what we heard and what we typically teach in our presentations, which is why the conference was so relevant and important to YAC. After listening to the stories of survivors, allies, and members of the AAPI community, YAC has learned a lot and will continue to educate our peers who were not able to attend to conference. The AAPI Women Lead Conference 2018 opened the ears and eyes of countless audience members, but most importantly, it touched the hearts of individuals all around the world. The message of this community based organization does not end after ten hours of listening to panels and discussions; the movement continues until women become recognized as women, a strong, independent intellectual whose voice equals to those of any other demographic. We no longer need to hesitate nor deny our positions and achievements as leaders. We no longer need to wait for a platform to arrive; our voices carves our platforms. Women have been continuously suffering under the societal gender norms and unrealistic expectations. Let us change this disappointing reality. The Youth Advisory Council is ready. Are you? This entry was posted in YAC News and tagged AAPI community, API culture, api media representation, API women, awareness, community organizations, education, empowerment, solidarity, violence against women. Bookmark the permalink. ← YAC SPEAK AT APILO’S ANNUAL GALA!